New renders of the Samsung Galaxy S7 were leaked that possibly reveal the dimensions of the company’s upcoming flagship smartphone. A few days back, we have seen leaked renders of the Samsung Galaxy S7 Plus, which revealed that it may sport a 6-inch display and may not have the expected USB Type-C port. Possible dimensions of that “Plus” version were also revealed. Today, new leaked renders are made available but for the flagship version of the smartphone, thanks to GSMArena. GSMArena’s post gives us a better visual of what the Samsung Galaxy S7 will look like and how well it will fit on the hand. 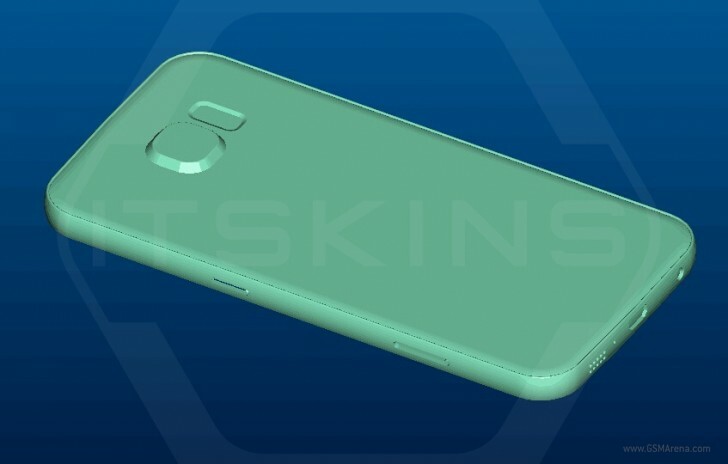 The new leaked renders came from a third-party accessories manufacturer, ITSKINS. 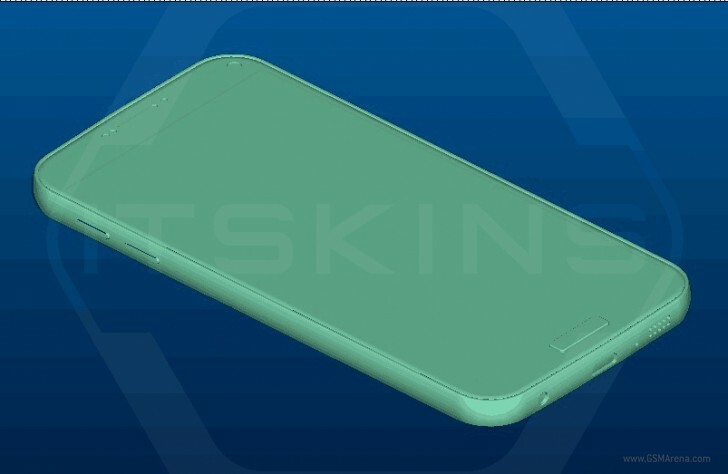 Companies like ITSKINS receive in advance detailed proportions and control layouts of upcoming smartphones so they can fabricate accessories in time for the phone’s release. Although the information they provided is limited, it contains detailed dimensions of the Galaxy S7. From the leaked renders, it was found that the Samsung Galaxy S7 will measure 143.37 x 70.8 x 6.94 mm, which is almost similar to the size of the Galaxy S6. It is way small compared to its “Plus” sibling, which is said to measure a massive 163.32 x 82.01 x 7.82 mm that points towards it having a mammoth 6-inch display. The Galaxy S7 Plus, which will make the Note Series look smaller, comes close to the size of the Galaxy Mega 2. The Note device has featured a 5.7-inch display for the last three iterations. 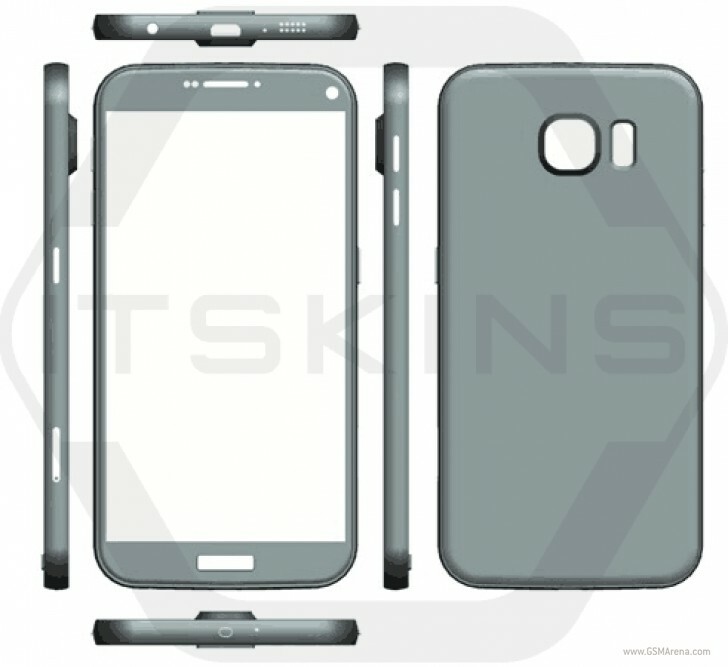 Aside from revealing the possible dimensions, it appears that the upcoming Galaxy S7 will have many resemblance with the Galaxy S6. However, even on first looks, there are two noticeable changes happening on the upcoming smartphone. First, the Home Button appears to be more rectangular rather than the usual rounded shape before. Maybe the reason behind this is to easily distinguish the Galaxy S7 from the Galaxy S6 due to their many similarities. Another noticeable change is that the SIM slot has been moved to the side.